Fiji offers many styles of accommodation. The traditional bure (thatched-roof cottage based on traditional villages house but with modern amenities) enjoys great popularity and offers a truly Fijian atmosphere. 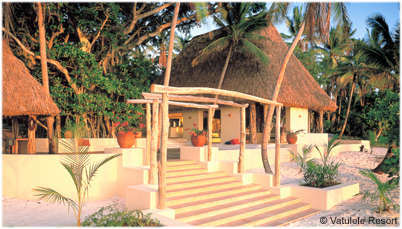 Most hotels incorporate Fijian design motifs to heighten the feeling of a vacation in an exotic South Pacific paradise. All rates quoted are rack rates and stated in Fijian dollars (FJD) unless otherwise specified. Tour wholesalers may offer cheaper rates.